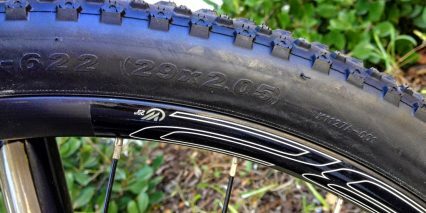 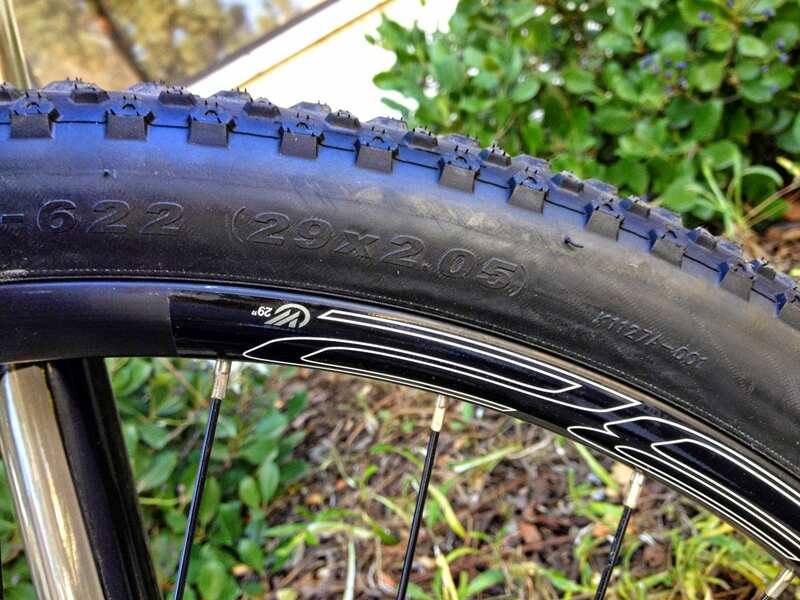 Kenda Slant Six, 29" x 2.05"
This review is for the 2015 Raleigh Tekoa iE. 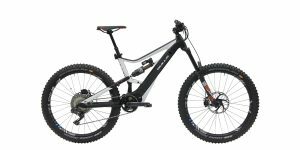 In 2016 a new version was released with silver paint, a nicer Shimano Deore XT drivetrain and a lower price point… otherwise the drivetrain and most other features on the bike remain unchanged. 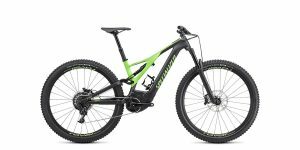 Read the most up to date review here. 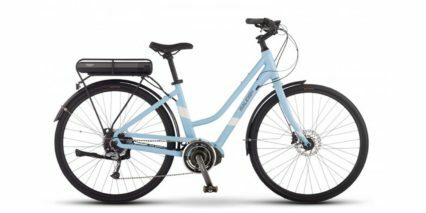 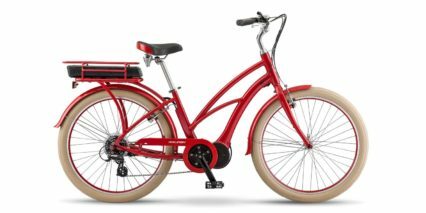 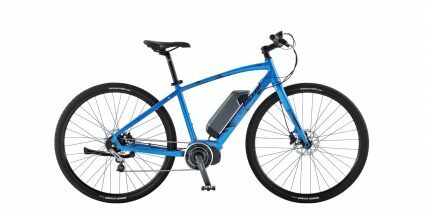 The Raleigh Tekoa-iE is a 29er style electric bike with a centerdrive motor capable of hitting 28 mph with strong pedaling. 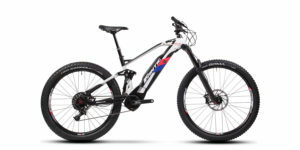 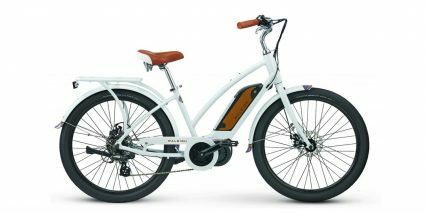 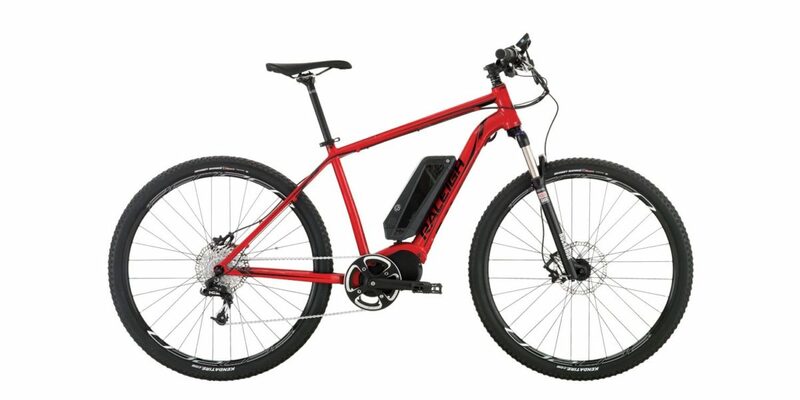 It features hydraulic disc brakes with 180 mm rotors for excellent stopping power, a removable battery pack to reduce weight when transporting the bike and make charging easier and offers quick release wheels front and rear for easy maintenance. 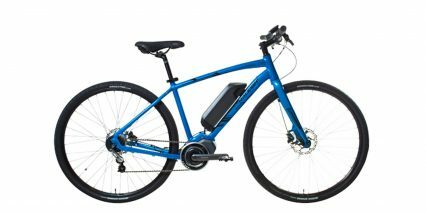 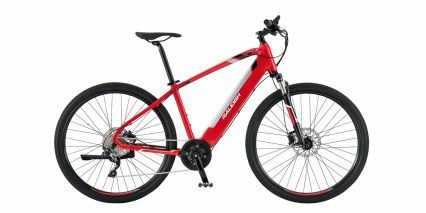 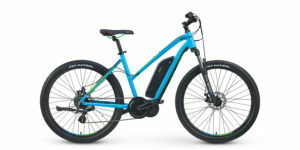 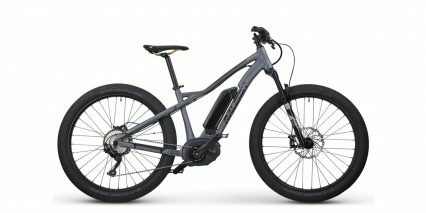 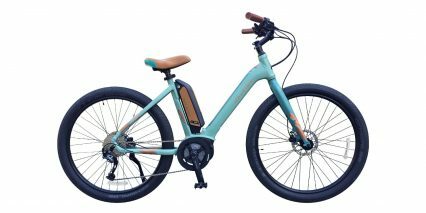 At ~$3,300 it’s one of the more affordable mid-drive 29″ electric bikes around and you really benefit from the low center of gravity for handling and stronger torque and efficiency of the mid-drive but if you’re willing to pay $700 more, the Haibike 29er with Bosch is more responsive and ~5 lbs lighter. 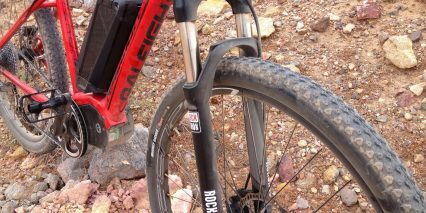 What you won’t get with that bike however is a twist throttle and the Tekoa uses it in two ways. 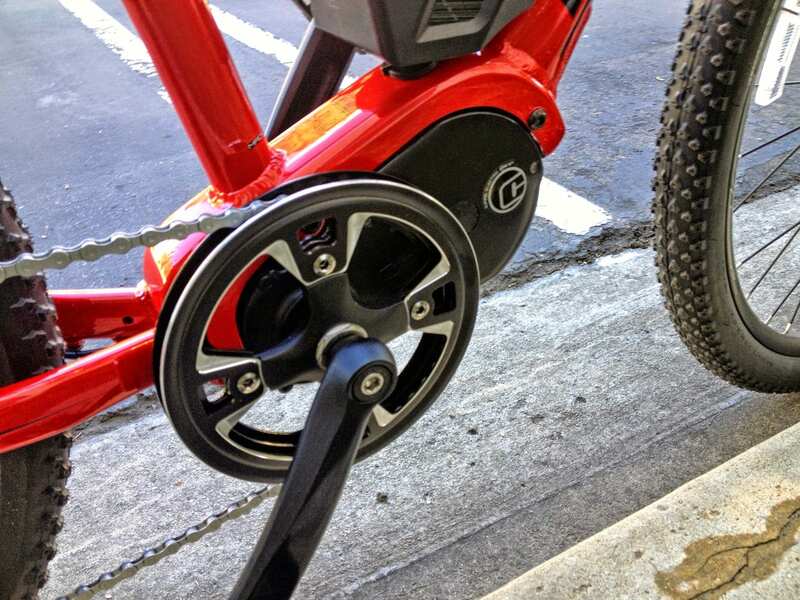 Without pedaling, the throttle can hit 6 mph and with pedaling it will go to ~20 mph. 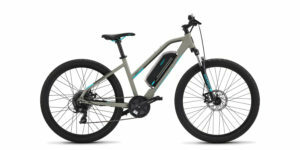 The idea is that it’s there to help you overcome hills more easily while riding in lower assist levels for efficiency. 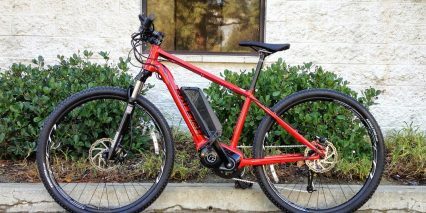 Driving the Tekoa electric bike is a 350 watt geared mid-motor by TranzX from Currie Technologies. 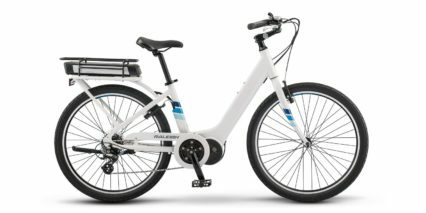 I was impressed with how quietly it operates and also just how small it is. 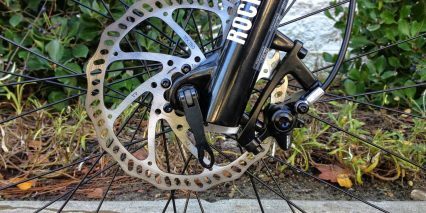 You can see in the picture below that the front sprocket actually hangs quite a bit lower than the drive unit. 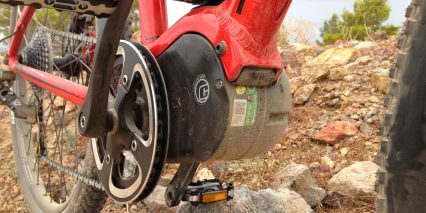 One of the nice upgrades to the front chain ring is that it’s sandwiched between two aluminum bash guard plates that double as a chain guide to keep everything on track while navigating more bumpy terrain. 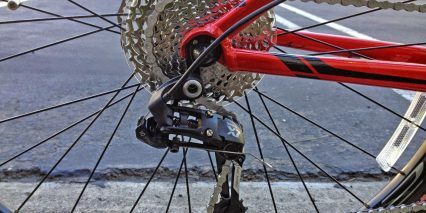 The chain ring is a 42 tooth design that’s more standard in size than the smaller ring on the Bosch system (which spins much faster). 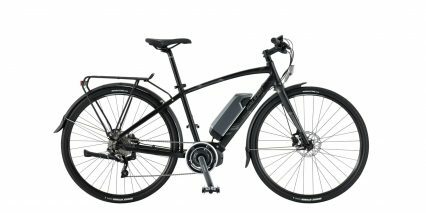 the benefit is that this bike looks more normal and runs more quietly but the chain slows down less quickly when the motor cuts off. 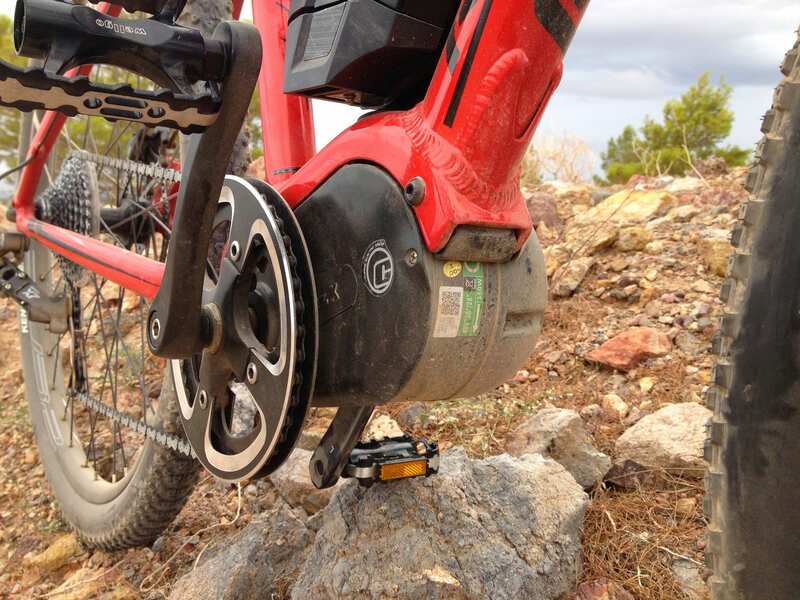 Overall, this system works well and the integrated motor inhibitors in the Tektro brake levers really come in handy for shifting gears because there is also no shift detection in this system. 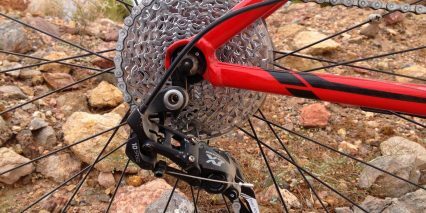 If you’re climbing and pedaling really hard while trying to shift, you plus the motor will add more strain on the chain and cassette. 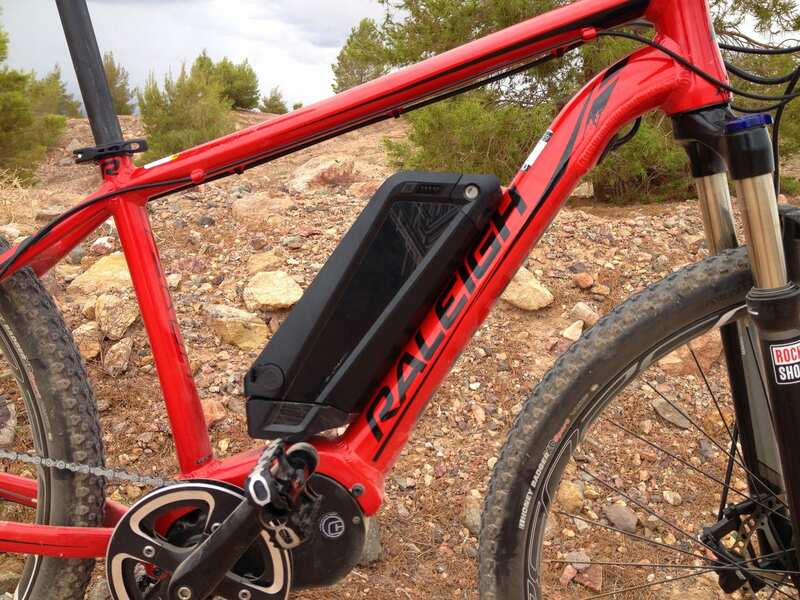 Powering the bike is a locking, removable battery pack that’s mounted at three points to the downtube. 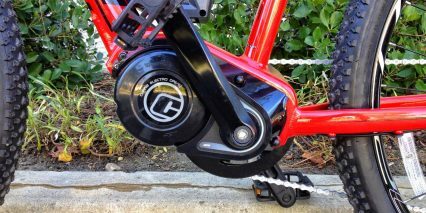 This takes the place of would-be water bottle bosses and also blocks enough room in the triangle area of the frame that they didn’t add any bosses to the seat tube. 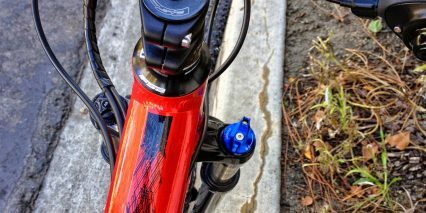 Consider bringing a Camelbak or using an aftermarket seat post or saddle mounted cage. 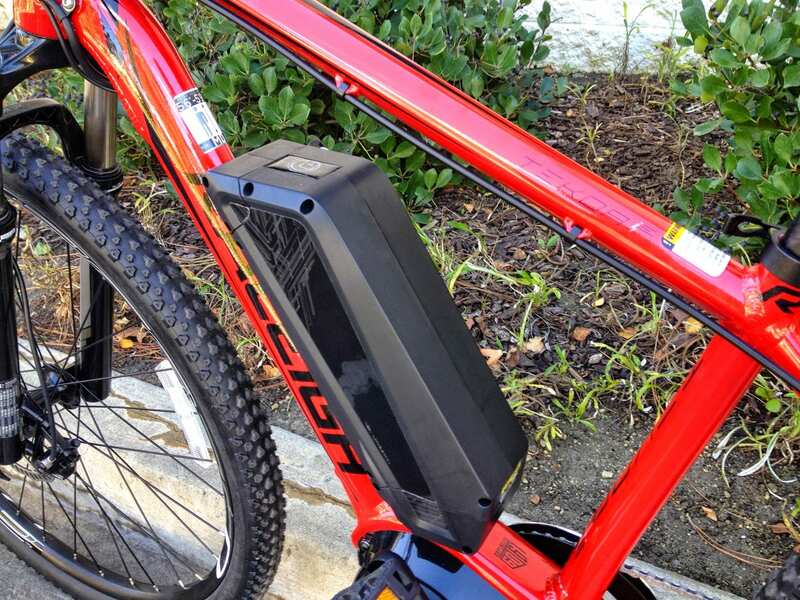 The nice thing about the battery pack, aside from being mounted low and center, is that it’s removable for convenient charging and storage (or to reduce the weight of the frame when transporting by car or bus rack). 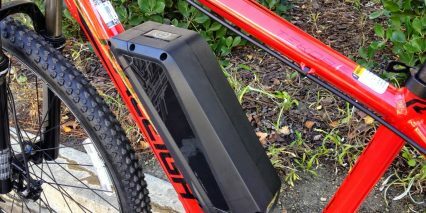 The not so nice part is that this battery must be switched on independently from the button pad console on the left bar. 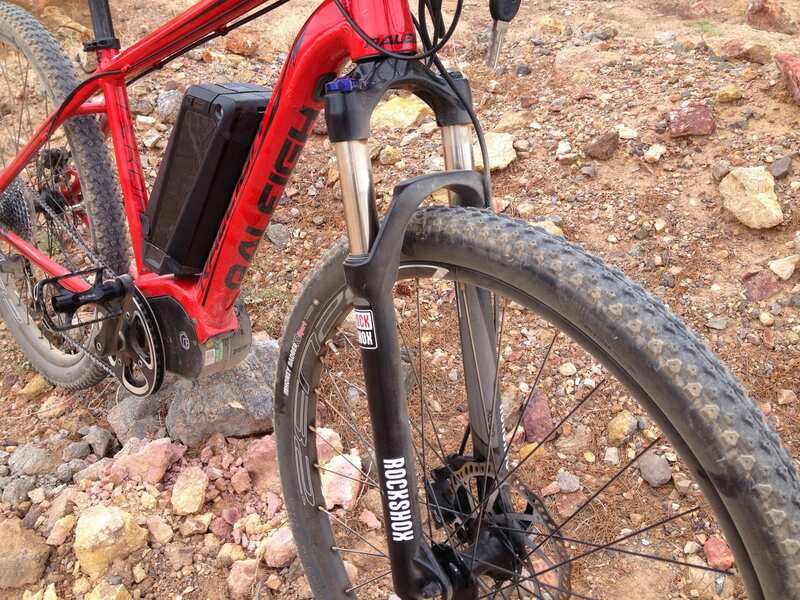 This left me a bit confused when testing because I thought maybe the battery pack was empty – most newer ebike packs don’t have their own on/off switch like this. The display panel and button pad on the Raleigh Tekoa-iE are part of the Currie Electro Drive system that’s been refined for 2015. 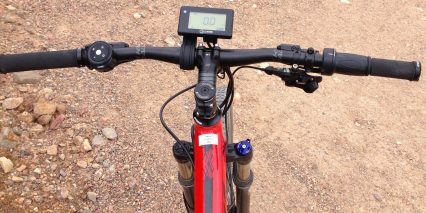 The display is a fixed monochrome LCD with a built in light sensor (it’s backlit for night riding). 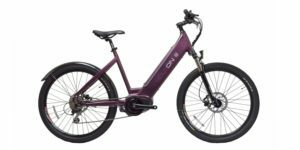 The panel can swivel forward and back to reduce glare which is nice and it’s mounted at two points to be extra sturdy but is not designed to be removable. 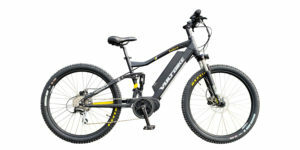 to operate the systems you first activate the battery and then press the power button on the remote pad. 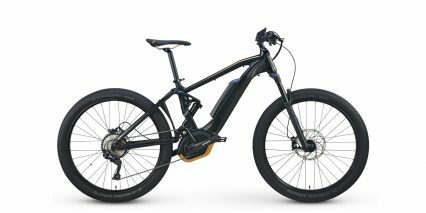 A quick countdown brings you into the main menu where you can see the current speed, assist level (1-4) and battery level. 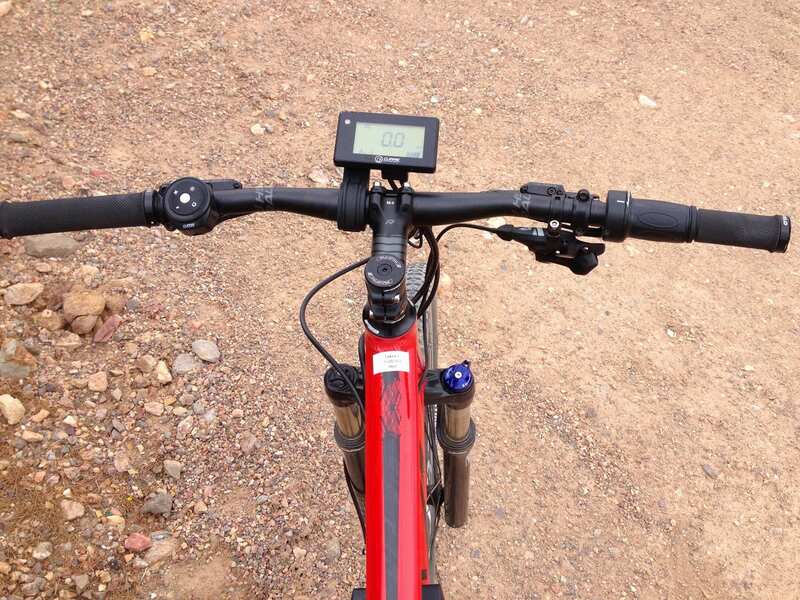 You can also navigate through an odometer and range screen which helps you approximate just how far the bike will go (at the current assist level) before running out. 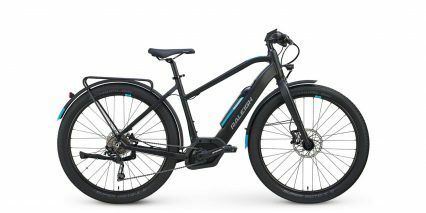 Here’s an in-depth video overview of how it works. 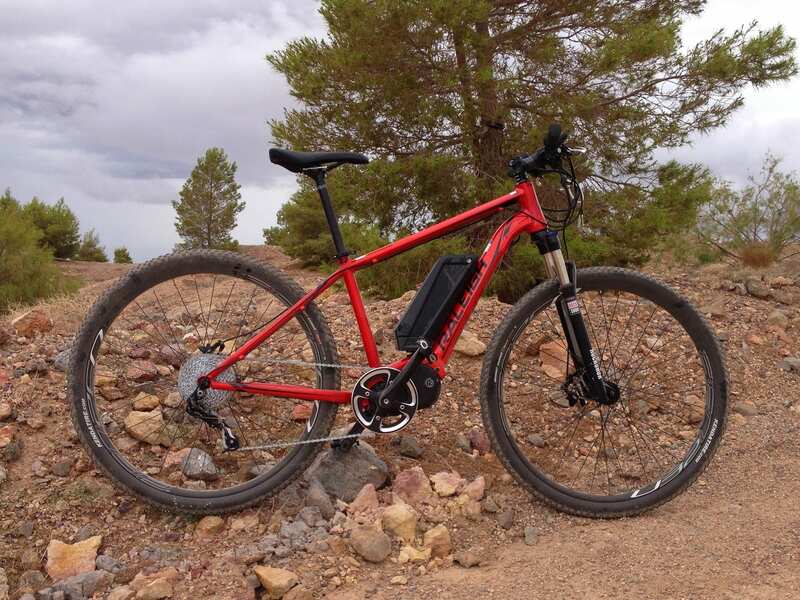 At the end of the day, the Raleigh Tekoa achieves two major things in my mind. 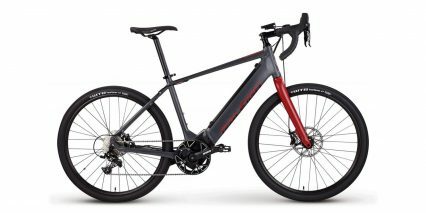 It brings electric assist mountain bikes to more areas of the country, because Raleigh has a wide network of dealers, and it also delivers at a lower price point than similar products. 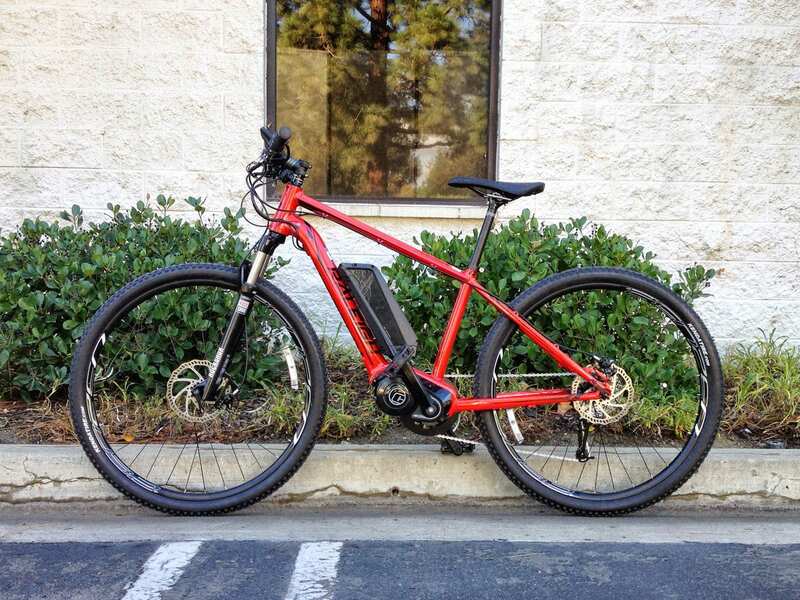 I enjoyed riding this ebike on and off road but would have liked rear rack mounting points to further extend its utility as a part time commuter. 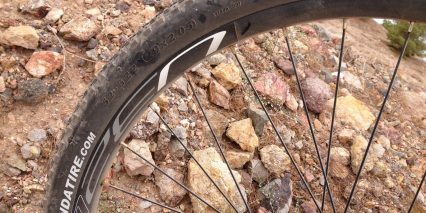 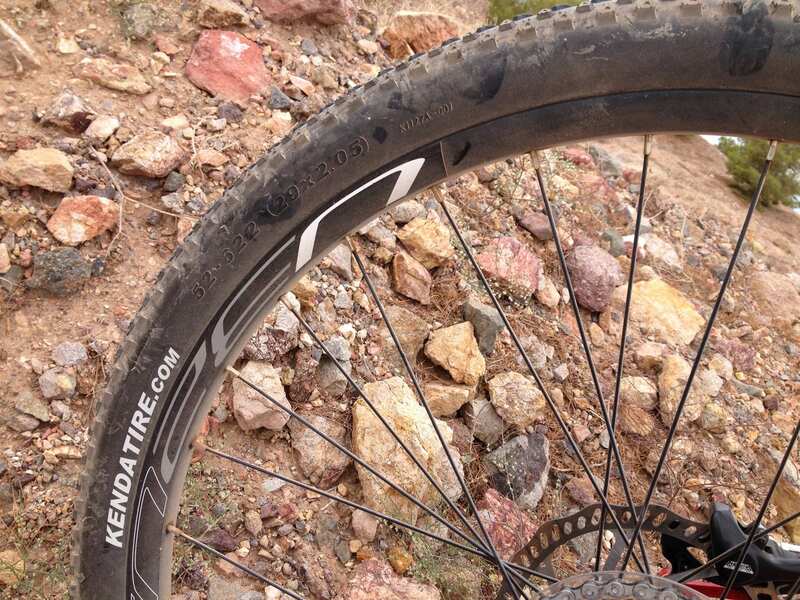 The 29″ wheels are efficient but less maneuverable than 27.5″ or 26″ when riding off road. 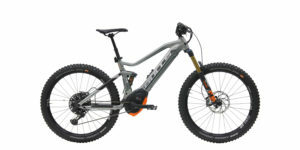 I think this model is best suited to trail vs. true mountain riding. 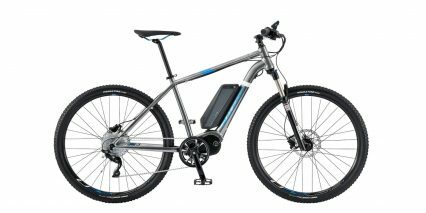 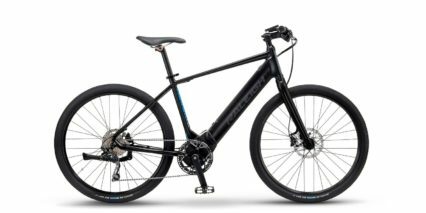 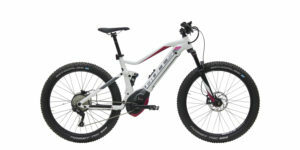 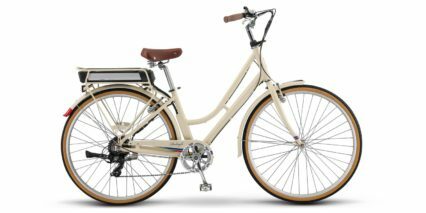 The motor and battery keep weight low and center, the display pad and button interface are great and the hydraulic disc brakes are top notch. 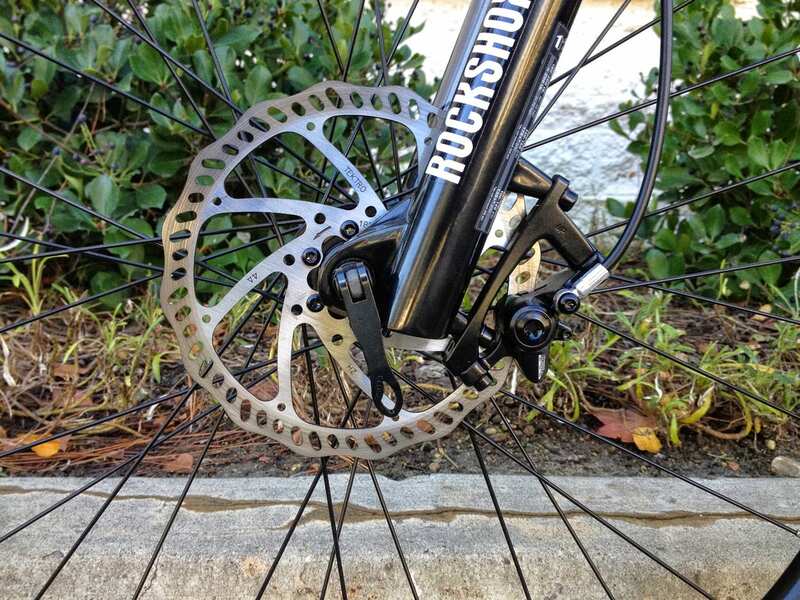 I’m mixed on the throttle since it cuts out at ~6 without pedaling but appreciate the choice it brings since most other mid-drives don’t have a throttle at all. 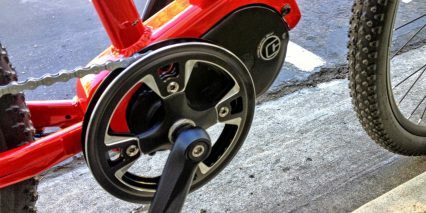 I also felt like I had to work pretty hard to reach the 28 mph top speed vs. some other speed pedelecs that I’ve tested. 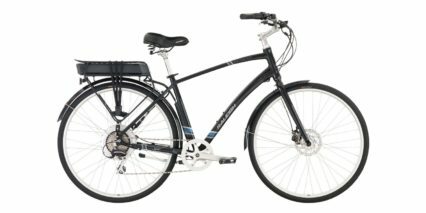 After watching the review of the Raleigh Tekoa-IE I got a great deal on a used one on ebay, with only 20 miles on it, purfect condition. 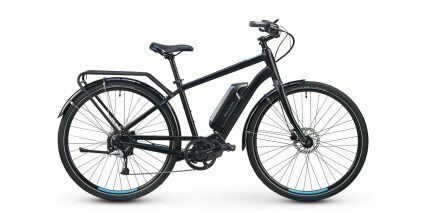 I have taken a bike with the Bosch mid drive for a test ride, and it is smoother when shifting. 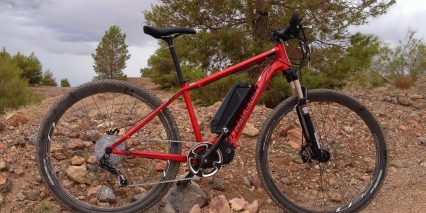 After the first couple of rides on the Tekoa I’m getting used to shifting it. 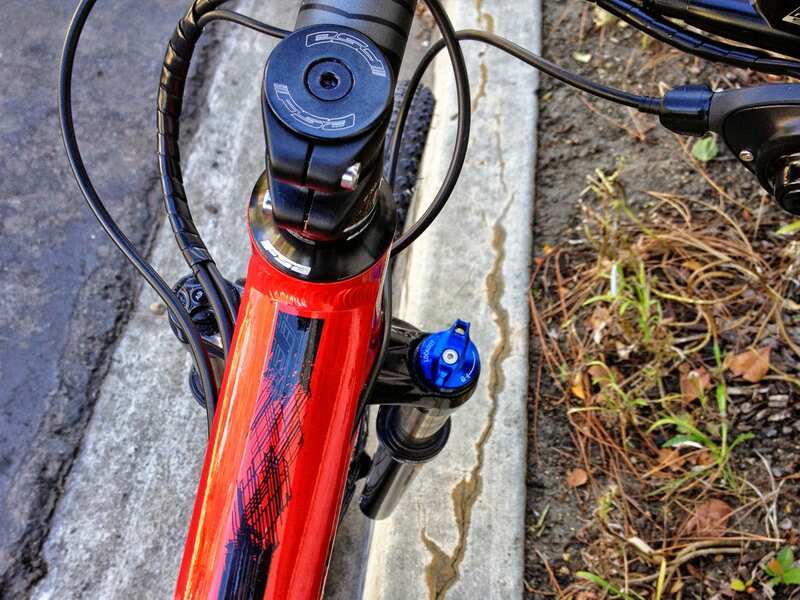 The system has a delay when you start peddling, I use this delay to make smooth shifts. 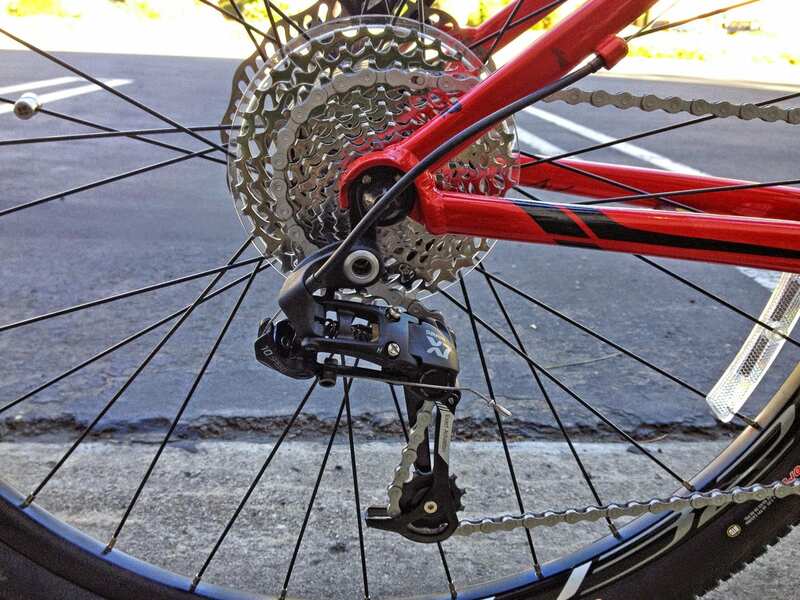 Just stop peddling for a couple of seconds and shift while not peddling. 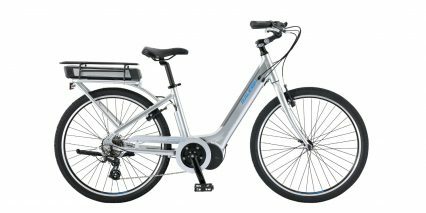 When you start peddling again the bike changes gears just before the system turns back on. 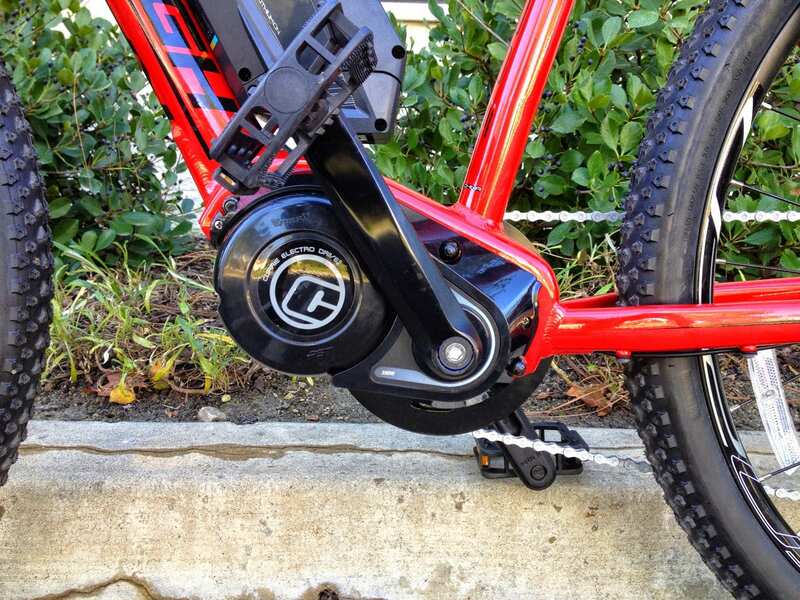 You can also change gears when you first stop peddling when the motor drive is coasting to a stop. 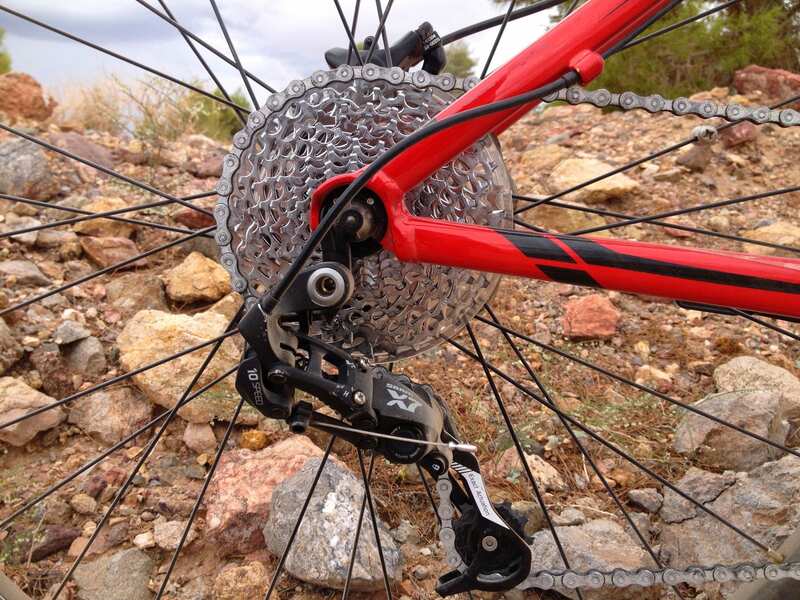 Once you are used to it the shifting is very smooth. 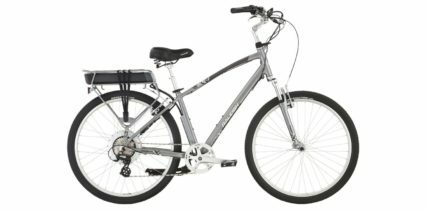 This is a great bike that I paid about 1/3 of the price that a new one costs, and it looks new, a great deal one a great bike. 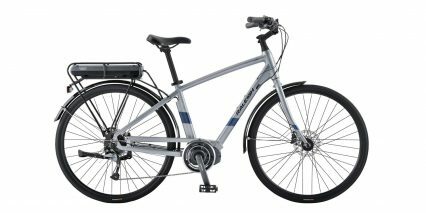 A couple of things I would change, mounting points for a rack would be nice. 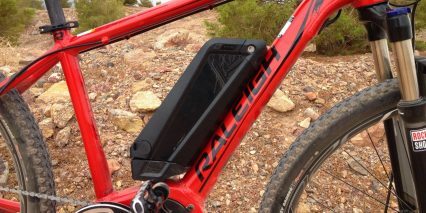 I would also get bigger battery, when I replace it, if it is available. 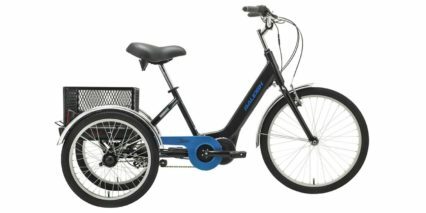 It a XL frame and there is plenty of room.